Monoplegia is a form of paralysis that affects just one limb. It is almost always the product of cerebral palsy. Monoplegia is a form of paralysis that affects just one limb. It is almost always the product of cerebral palsy, though a limited number of other medical conditions may cause monoplegia. Because monoplegia is rare, it is still poorly understood, and research into ideal treatments, the progression of the disease, and best practices for assisting patients is still in its infancy. Monoplegia is paralysis limited to a single limb—usually an arm. Occasionally, the paralysis is even further limited, to just a single muscle. Though this can substantially impede function, most people with monoplegia are able to care for themselves, perform daily tasks, and find ways to work around their symptoms. In people with cerebral palsy, monoplegia is considered a sign of a good prognosis, since it's one of the most minor symptoms of the disease. Most people with monoplegia experience a gradual deterioration in functioning, beginning with weakness or limpness in the affected limb. Over time, the effects intensify, eventually leading to full or partial paralysis of the affected limb. Monoplegia is the product of damage to parts of the brain that control the affected area. 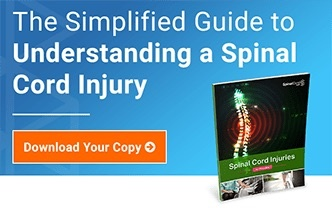 Less commonly spinal cord damage may also be implicated, but this is more likely to cause other symptoms, such as paraplegia or quadriplegia. Cerebral palsy is the leading cause of monoplegia. Indeed, so heavily associated with cerebral palsy is this symptom that some doctors consider it a telltale sign of CP. Rather than a single disorder, cerebral palsy is actually a group of related neurological disorders that typically manifest early in life. It's the most common movement disorder in children, affecting about .2% of all births. A number of injuries and infections can cause CP, including oxygen deprivation at or immediately following birth, toxoplasmosis, rubella, and exposure to high levels of toxins such as mercury. Curling of the hands or toes. Difficulties with vision or hearing. Infections of the brain or spinal cord. Lesions or cancer of the brain or spinal cord. How Does Monoplegia Affect the Body? Weakness or limpness in a single limb that does not appear related to another injury, such as a sprain, strain, or broken bone. Decreased sensation in a single limb. Some people also experience unusual “electrical” sensations, pins and needles, or unexplained pain. Curling of the toes or fingers attached to the affected limb. Difficulty with moving the limb that eventually leads to full paralysis. Pain in areas near the limb due to muscle stiffness and loss of muscle control. Some people may experience headaches, shoulder pain, and other ailments. Treatment for monoplegia depends on its cause. When the product of cerebral palsy, monoplegia may change or even remit over time, but cerebral palsy itself has no cure. Treatments for CP include a wide range of medications, physical therapy, surgery, assistance integrating into the community, biofeedback, and some alternative treatments. Because CP is incurable, a number of promising experimental treatments have emerged in recent years, though results have varied and there is still no single treatment that works for every patient. Treating the cause of the monoplegia. Monoplegia due to an infection in the brain or spinal cord, for instance, may improve with high doses of antibiotics. Physical therapy to teach the brain and spinal cord how to work around the injury. Exercise therapy to reduce pain in the surrounding area and to retain as much muscle function and tone as possible. Psychotherapy to help you deal with the challenges of living with a disability. Surgery to correct anatomical abnormalities. Education about monoplegia, as well as advocacy about disability rights issues.